The Auto Gen Start is a great option to have when your power system have a generator as backup. All Sigineer Power inverter chargers are equipped with the capability to automatically start a generator when battery voltage goes low to alarm and turn the generator off when charging is completed. 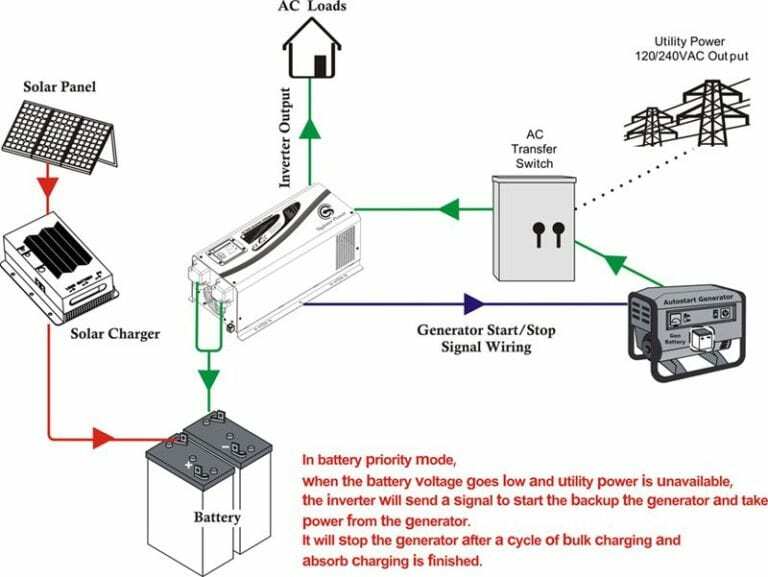 When the inverter goes to low battery alarm, it can send a signal to start a generator. 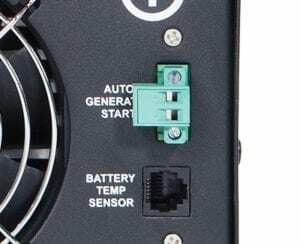 There is a 15-second delay from the time the inverter senses that continuously qualified AC is present at the input terminals to when the transfer is made. This delay is built in to provide time for a generator to spin-up to a stable voltage and avoid relay chattering. The inverter will not transfer to generator until it has locked onto the generator’s output phase. This delay is also designed to avoid frequent switch between battery bank and AC when input AC is unstable. The automatic generator start feature will only work with generators which have automatic starting capability. The generator must have start and stop controls [i.e., an electric starter and electric choke (for gasoline units)], and the safety sensors to be able to start and stop automatically. There is an open/close relay that will short circuit the positive and negative cables from a generator start control. The input DC voltage can vary, but the max current the relay can carry is 16Amp. The Auto Generator Start terminal pins are not polarized. In addition, these two pins can also be used as dry contacts to send out “Low Battery Voltage” signal to an external alarm device. This AGS relay can also carry AC voltage within its capacity. This inverter will skip the float charging when it is set at battery priority mode, so that the generator will no longer be kept running to maintain a small charge on the batteries. The Auto Generator Start is a very utilitarian functionality for applications with solar power and generator as power backup. This way the operation of generator will be reduced to minimal level. Our DIP switches allow the user to choose different battery low voltage alarm points to start up the generator, for example, 10.5Vdc/11.5Vdc for 12V models. What is power inverter ? How does an inverter work ? Sigineer Power’s inverter chargers are build with very strong battery chargers to recharge your batteries swiftly and safely.